So my day at Indy Pop Con at the Nerd Management Booth was pretty awesome. We got to meet some fantastic local and national artists, podcasts, and celebrities. 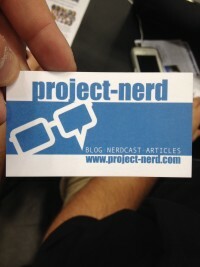 We are in Booth 847 of you are in Indianapolis for the Convention you should swing by and meet the Nerd Management guys. I will not be there the next 2 days, Today was my time to shine. Warner also got to meet Bad Luck Brian who was in the booth next to us. The guy was actually pretty awesome and really down to earth. I am surprised to see how open he is about the life that he has fallen into, but I guess if I was in that situation I would make the best of it as well. Check out these 3 Podcasts!!! All 3 podcasts are really awesome. We hit it off right from the start and listening to their podcasts, they would be awesome for you to subscribe to. Is DC Really Going to Let Marvel Beat Them to the Punch!? Really? A Black Widow Movie Before a Wonder Woman Movie? It doesn’t matter what DC does to get it done, they have to make a female superhero movie before Marvel. They cannot loose the battle to the box office while holding the Ace. Wonder Woman is a franchise title for decades and only recently has Black Widow became anything more than a D list character. 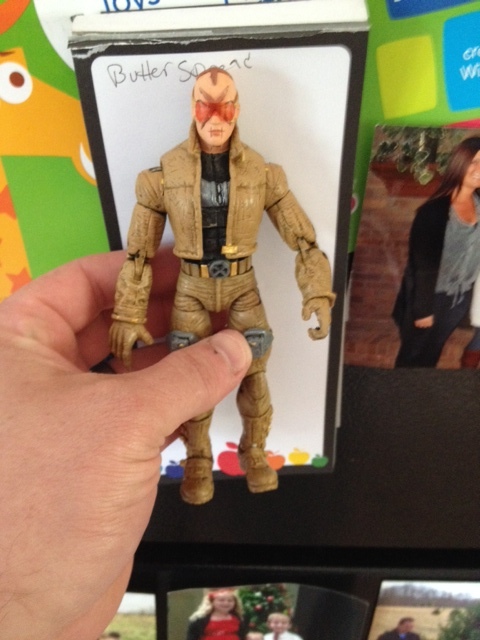 Marvel is building a Monster and DC is answering pretty soundly in every aspect except for this one. The world needs a Wonder Woman movie before a Black Widow one. Little girls everywhere are waiting desperately for a superhero to call their own, some too young to remember Linda Carter and others too old to know who Gail Gadot is. Nerdy and Comic book fan women everywhere are waiting for the one movie they can set their sights on and it looks like Marvel is going to beat DC to the punch even though DC has the better female lead. For some reason DC is reluctant to pull the trigger on the movie and they are letting Marvel win without even putting up a fight. I know Wonder Woman will be featured in the upcoming Batman v Superman movie and they are waiting for that to pounce on, but they shouldn’t wait too long or the world we know will be enamored with Black Widow and DC will have missed the boat completely with an A+ asset like Wonder Woman. Kind of a light week for me this week, especially since last week was pretty heavy. Only 2 books are going home with me. Deadpool #29 which is an Original Sin tie-in, and Guardians of the Galaxy #15 which features Captain Marvel. The tag line for Deadpool #29 by Gerry Duggan is: What did he see? 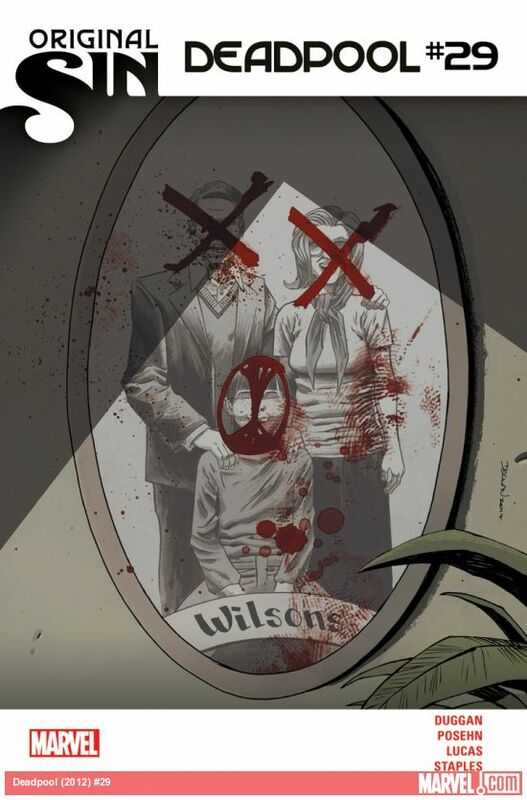 It seems to have to do with Deadpool’s parents and another origin story for the Merc-with-a-Mouth. So far the tie-ins for Original Sin have not held up to the Main Series itself, so we will see if Duggan and Posehn can break that streak. 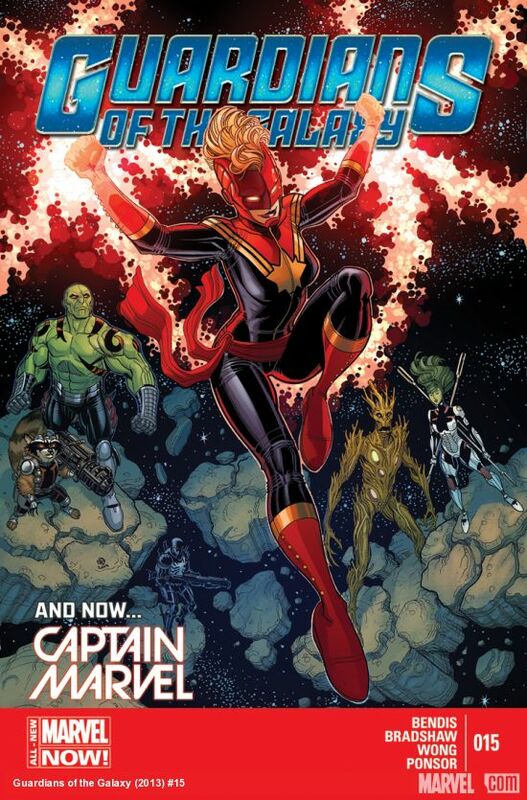 Guardians of the Galaxy #15 featuring Captain Marvel (Carol Danvers) written by THE BENDIS machine; continues the story line of Starlord missing. 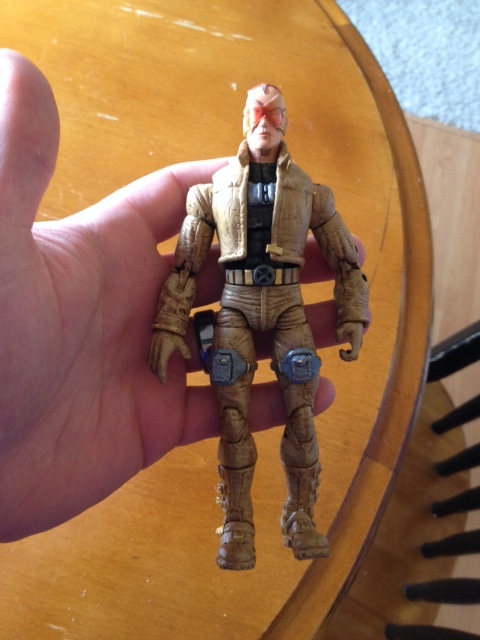 Captain Marvel steps into help the Guardians, since right now they are all wanted for treason against the Shi’ar. This looks like to be first class writing and art like it always is. I am anxious to see who they put on the book after the movie comes out when they move Bendis to something else. Here we are its finally here, the largest and best Comic Book/ Pop Culture Convention in the Mid-West. Running from May 30 – June 1, 2014 here in Indianapolis. After the Indianapolis Comic Con exploding in its inaugural year and the success of this show, Indianapolis is growing into a major player in the Convention circuit. 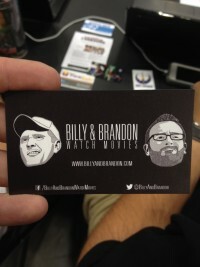 Our Nerd Management Podcast has a booth 487 on Podcast Alley at the convention. I will be there this Friday from Noon to 4 pm. 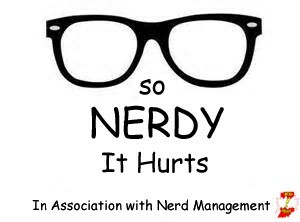 And the rest of the Nerd Management Crew will be there the rest of the weekend; Warner, Alec, and Rob. I had a moment to interview one my favorite Deadpool writer’s Victor Gischler. 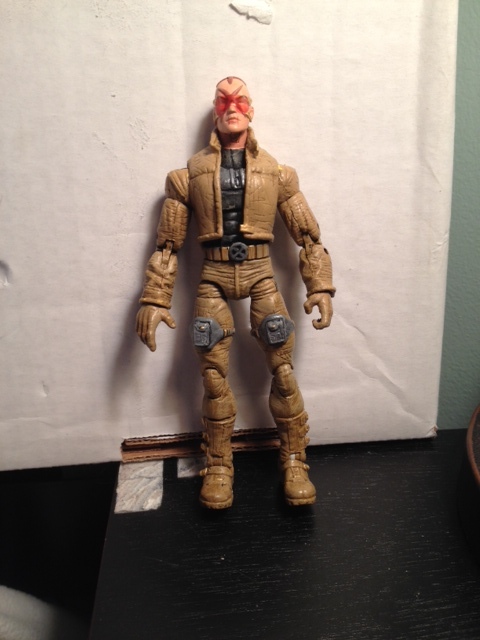 He is an award winning Novelist and a freelance comic book author writing for Marvel, Darkhorse, and Dynamite. Mikel: You are known for doing novels as well as comic books. Some of your more famous novels are Gun Monkeys, Shotgun Opera, and The Deputy. Do you have a specific novel you are most proud of? Was there one that you enjoyed writing more than any other? Mikel: You have done many comic books for Marvel such as Deadpool: Merc-With-A-Mouth, Deadpool Corps, X-Men, Punisher Max. You have also done some books for Dynamite and Dark Horse such as Buffy, Conan, and Noir which you are still on. What are the main differences in a large company like Marvel compared to a smaller more independent company like Dark Horse or Dynamite? Do you like working with one more that the other? Mikel: As a huge Deadpool fan that is how I was introduced into your work, do you find that many people associate you with your run on Merc-with-a-Mouth and Deadpool Corps or do people recognize you more for your novels? Does that bother you? Which would you like to be known for more? Comic Books or Novels? Mikel: Okay final question you have been nominated for the Edgar and the Anthony Awards and you have a PhD from Southern Miss in English so you are well acclaimed. If you could have one job in the world other than being an author What would it be and why? Mikel: What projects do you have coming up that you are excited for? Victor: I’m currently the season 10 writer for Angel & Faith which is an exciting challenge, and I have a irreverent B-movie post apocalypse book forthcoming from Titan called Sally of the Wasteland. Memorial Day Weekend: Thank You For Your Service! Thank you to all of the men and women who serve our country and keep us safe! You are the true heroes!